Joe Jackson, father of Michael, Janet and their famous siblings - is now battling with terminal cancer, it's been revealed. The 89-year-old patriarch is currently in hospital in the end stages of his cancer and is currently surrounded by his wife Katherine Jackson and other family members. 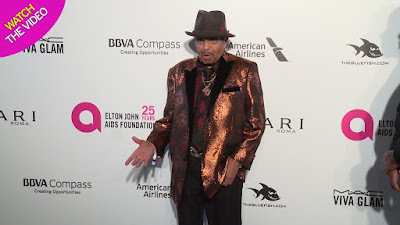 TMZ reports that Joe, who originally managed The Jackson 5, has been battling the illness for some time, and has been told his cancer is untreatable. As yet, there's no telling how much time he has left. It came after his son Jermaine Jackson claimed Joe was dying earlier this week. "He doesn't have long. The family needs to be by his bedside - that's our only intention in his final days," said Jermaine.